Welcome to the EYFS Unit! We are very impressed with how all the children have settled into EYFS. They are enjoying making new friends and playing with others. 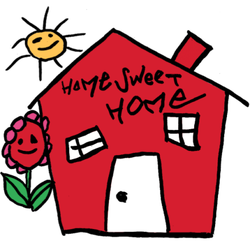 This half term's topic is 'Home Sweet Home'. This is what we will be focusing our learning on during the Spring term. variety of different traditional stories, including Jack and the Beanstalk and The Gingerbread Man. Class Dojo Keep in touch! Phonics Play Great games to help your child with their phonic sounds.